PPCGeeks.com – HP does the unthinkable again, makes WebOS Open Source! Today, HP decided to drop an early Christmas present for WebOs loyalists and development. A few month prior things looked bleak for HP after spending $1.2 billion on Palm only to have their Tablets collect dust and carriers refusing to carry their devices. It almost seemed like an end to WebOS when BesyBuy and other distributors decided to send all their stock of TouchPads back, forcing HP into making the best of it and selling it at a loss on a fire sale. 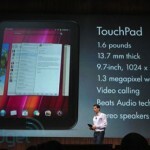 People were able to get their hands on a HP Touchpad for as low as 99$ – 149$ depending on capacity. 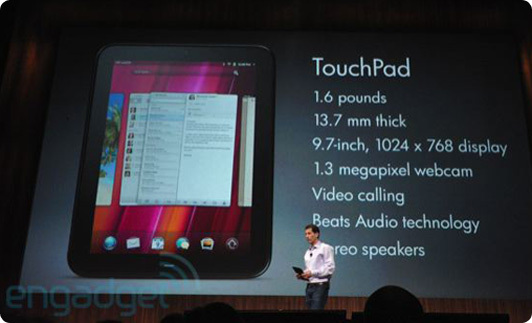 Even though HP officially discontinued the HP TouchPad they still maintained updates and promised that WebOS would live on. Still, the future of WebOs seemed uncertain as HP itself seems to have went on to reshuffling, and talks broke out of possibilities of licensing the os, selling to os, or even as far as selling off the entire consumer division of HP. These talks eventually came to an end as HP denied any ongoing effort to sell their divisions but the future of WebOs remained shrouded. Fast forward to today, HP has finally decided on a course for WebOS, it will now be distributed under an open source license. While certain components of WebOs were always open source like the Linux Kernel which was distributed under the GPL license. HP has yet to announce under which open source license they plan to release the source code. This effectively moves HP from competing in the iphone’s business model to direct competition against Android. HP was quick to point out in the press release though, that they plan to keep a tight grip on licensees to prevent fragmentation. Personally I think the best start for WebOs would be to include the ability to run Android Applications, this will pave doors open for larger app support until they can build up their own app library. What do you make of this? Does this put a new interest in webos? Are you already really thinking about porting WebOs to that TP2?